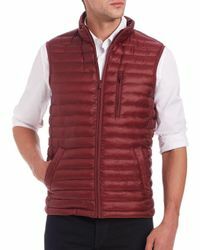 See more Saks Fifth Avenue Waistcoats and gilets. 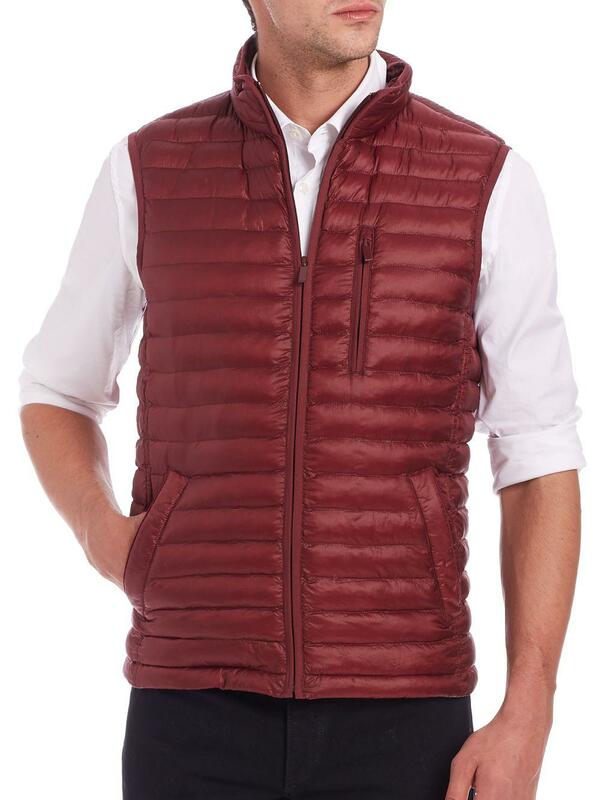 Sax Fifth Avenue Collection's quilted Thermoluxe vest is ideal for keeping warm whatever the clime. In red, this sleeveless style has a stand collar and zip-up front fastening. Finished with welt pockets to the waist, layer yours over a cashmere sweater when the temperature drops.